It’s always different in the mind of the masses, but in reality, its the same old story. 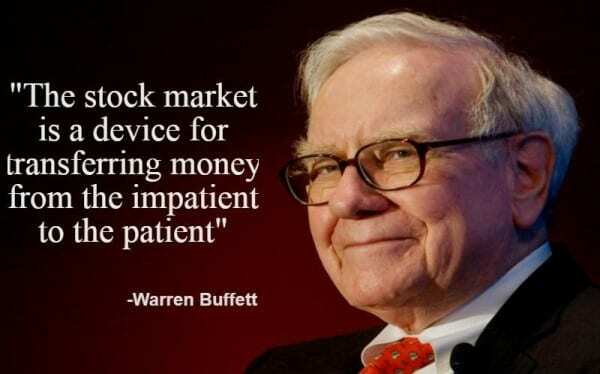 That is why the masses never win and are always on the wrong side of the market. Mass psychology clearly states that one should buy when the masses panic and sell with they are euphoric. My take on that topic: If you want above-average results with below-average risks, make regular investments in index funds and leave the money there until you need it. Now let’s look at some other Warren Buffett gems that include his thoughts on the value of value investing, the non-value of predictions, following the herd, the tarnish of gold as an investment, and more. “Whether we’re talking about socks or stocks, I like buying quality merchandise when it is marked down.” That’s what value investing is all about. Don’t let fear and greed change your investing criteria and values. Avoid being overwhelmed by outside forces that affect your emotions. Never sell into panic. Buffet only invests in companies he understands and believes have stable or predictable products for the next 10 – 15 years. This is why he has typically avoided technology companies. Treat investing in stock as though you are buying the entire company. I always take a hard look at enterprise value because this is the total price of a company. In other words, it is the price you would be paying for the company if you could buy the whole company at current prices. He would rather pay a fair price for a great company than a low price for a mediocre company.